Thank you for your support during this difficult time. Please enhance this tribute to Janet by adding your memories. .
Janet L. (Putney) Metzler died at Melrose-Wakefield Hospital on April 3, 2019. She was 86 years of age. 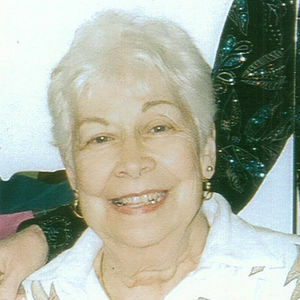 She was a graduate of Medford High School, class of 1951 and was a longtime resident of Melrose. Janet was a dedicated employee to the Commonwealth of Massachusetts for over 25 years. She enjoyed traveling with friends and spending time in Maine with her companion, Jim. Ms. Metzler was an avid shopper on QVC and loved collecting new jewelry. Janet was an active member of the First United Methodist Church of Melrose with their Coffee Fellowship on Sunday mornings. Ms. Metzler was the loving mother of Kenneth W. Metzler & his wife Karen of Danvers and the late Cheryl (Metzler) Carroll and Hugh C. Metzler. Cherished grandmother of Danielle Gilbert & her husband Nico of Beverly and Kristie Metzler of Danvers. Proud great grandmother of Wesley Gilbert. Loving sister of Judy Smith of Melrose & her late husband Chris. Former wife of the late Hugh H. Metzler. Loving companion of James M. Frye of Pittsfield, ME. Visitation will be held at the Gately funeral Home, 79 W. Foster St. Melrose on Tuesday, April 9, 2019 from 9:00-11:00AM, followed by a funeral service at 11:00AM. Interment at Wyoming Cemetery in Melrose. Janet you will be missed at every holiday celebration. You are a very kind and sweet person and we have enjoyed our time with you. I am so sorry for your loss. Hugs and Prayers to you and all of your family. Life Stories provides friends and families a forum to post their favorite stories and memories of Janet L. (Putney) Metzler ensuring the precious experiences are never forgotten. Share joyful times, post a photo that captures the moments you cherish, and allow others to reply, relive and remember.